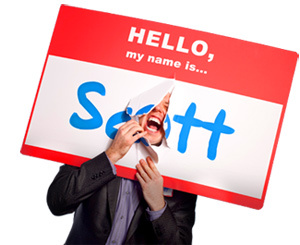 19 Ways to Build Buzz about Your New Website - HELLO, my name is Scott! 1. FIRST THINGS FIRST: Build remarkability into your ideas before they go public. Are you (already) worth making a remark about? 2. Give it away. If you want it to be viral, (some) of your content HAS to be free. What are YOU giving away? 3. Stop writing. Nobody’s going to read all that copy. Think images, not words. And keep it clean and above the fold. How are YOU using video? 4. Harness the power of ITunes. They have AMAZING marketing and reach a LOT of people that might not ever GO to your site. Podcasting – audio or video – is the key to reaching new audiences via web 2.0. How many people’s IPods are YOU on? 5. Use Digg and Delicious. Screw Oprah. Digg and Delicious are WAY more powerful (and a LOT less annoying) than her. Also, if someone comes to your website and doesn’t know what Social Bookmarking tool are, forget about it. Let the techies and bloggers who DO know what those buttons mean to use them to spread your message. Stop trying to educate the people who don’t ‘get’ social networking. It’s not your job to convert them. Do people Digg you? 6. Use RSS. This is the PERFECT tool for building your permission asset. How many subscribers do YOU have? 7. Make it easy to share. Include boxes and buttons for link sharing, i.e., ‘Send this site to a friend’ and embeddable HTML tags for videos, playlists and pictures. Are you making your website really, really easy to share? 8. REMEMBER: It’s not how many people come to your site, it’s WHO comes to your site. Eyeballs are overrated. So don’t get caught up in traffic, hits and the like. Are you focusing on the number of eyeballs or the RIGHT eyeballs? 9. People. Find raving fans that have big mouths, market to them and then get out of the way. How many fans do YOU have? 10. Build suspense. Whether you use an ezine, RSS feed or blog, have a countdown during the final month before launch. Build anticipation. For example, you could use a screen shot to drum up interest at the end of each blog post. Does anyone even KNOW about your new website? 11. Humor wins. Think about the last time you said or heard someone say: ‘Dude, you’ve GOT to check out this website!’ More than likely, it’s because somebody, somewhere, was funny. 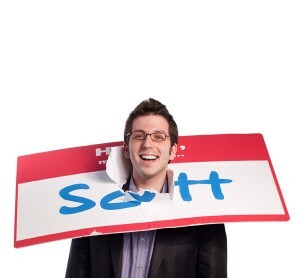 What’s humorous about YOUR site? 13. THREE WORDS: Other people’s traffic. What joint ventures are YOU working on? 14. Purpose. Don’t make it a website, make it a destination. Assure that people will actually stick around for more than 60 seconds. Make it community based and interactive through message boards, comments and other social networking tools. Keep the feedback loop constantly flowing. How frequently do people come BACK to your website? 15. Story. Make sure your site has a tab, box or content page that includes ‘Your Story.’ After all, that’s all marketing is: storytelling. Because people don’t remember ads, they remember stories. NOTE: If possible, make ‘Your Story’ a video. Let people see you doing what you do. Let people get to know you as a person, not a professional. What’s YOUR story? 16. User generated content. Enable customers to contribute and participate. Allow them to create their own profiles, accounts and usernames. Create a forum where they can discuss, share and upload their own pictures and videos with other users. They will take ownership of your website as their own and tell everyone they know. How are you giving your visitors a piece of the pie? 17. Simple. Simplicity is better, quicker, easier and most importantly, what customers crave. Could your website be explained to a five year-old? 18. Revisitability. Update new content at LEAST once a week, if not daily. This will bring people back again and again. REMEMBER: Websites are like newspapers – nobody wants to read them if they’re two years old. So, consider embedding a blog into the homepage. It works! If I had to do it again, my website and blog would be the same thing. When was the last time you updated YOUR content? 19. Ask yourself three questions. ‘What’s remarkable about my website?’ ‘Why would someone come to (and stay at) my website for more than 60 seconds?’ ‘Why would someone tell her friends about my website consistently?’ Be honest. Are you evaluating your website objectively?